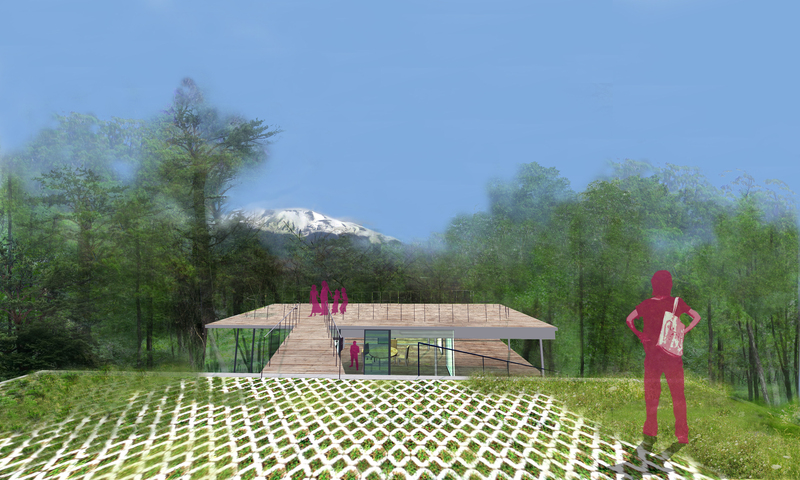 A design for a company retreat embedded in the landscape of Karuizawa, with a magnificent view to the forest and mountains in the distance. 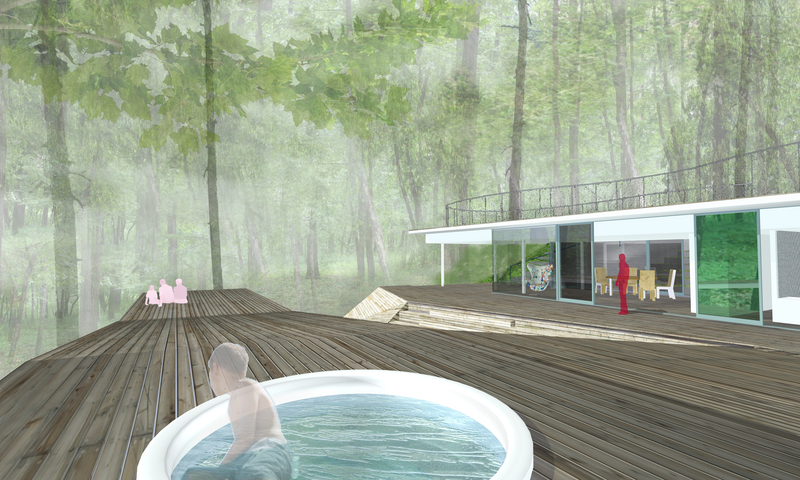 The aim was to create an unobtrusive retreat in the existing forest landscape that would allow visitors to immerse themselves in the location. The essential tactic was to create a landscape of wooden decks that closely followed the steep slope of the hillside. 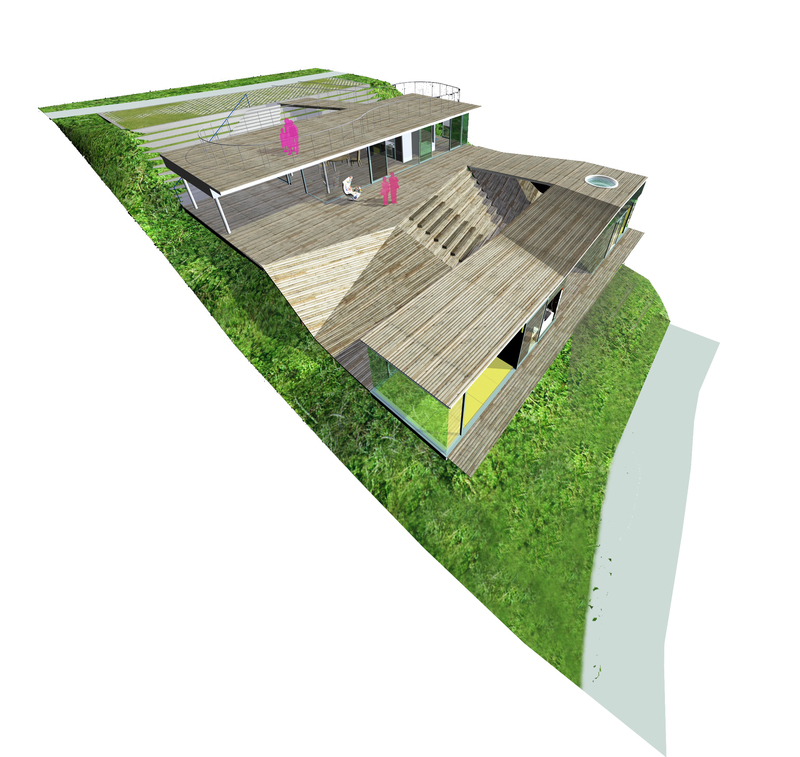 The topography makes it is possible for decks to double as roof-scapes as well as extensions of the living areas. 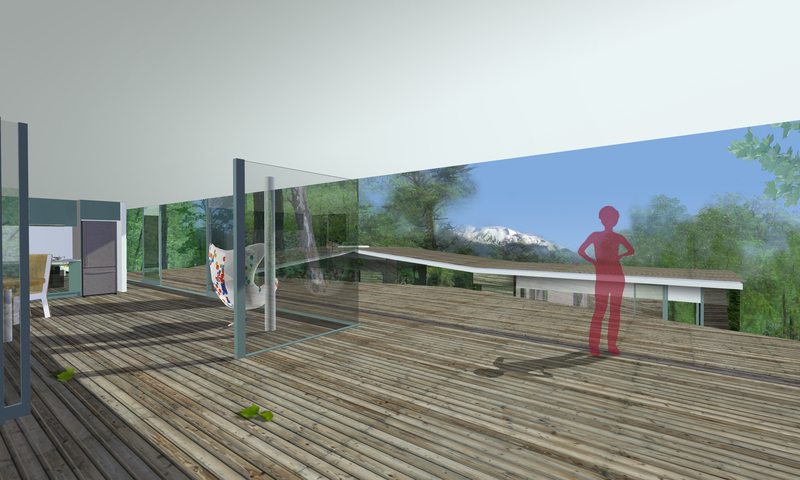 The rooms themselves are treated as pavilions that open to the landscape, with privacy created with mirrored glass. From the interior the rooms are as wide as the woods. From the exterior they are barely visible at all. 3 pavilions accommodate the host and their guests. The main pavilion contains a living and dining space, a bathroom and a large bedroom. Below, 2 smaller structures contain 1 guestroom each and a bath-room. The separation of the pavilions ensures privacy for small groups, while connecting decks make it easy to accommodate larger gatherings. 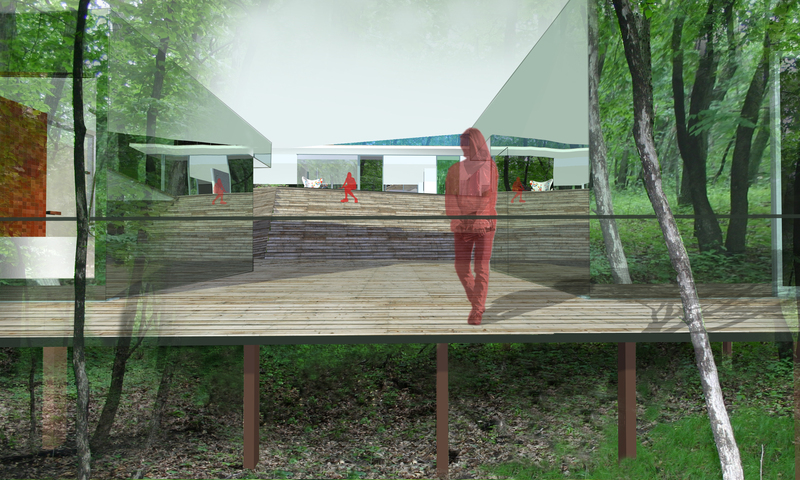 To minimize the impact on the existing landscape, mirrored surfaces are used to reflect the surrounding trees. The pavilions are connected with wooden ramps and stairs, which are un-programmed except for the occasional plunge in the hot tub that rests in the roof of one of the guest pavilions.